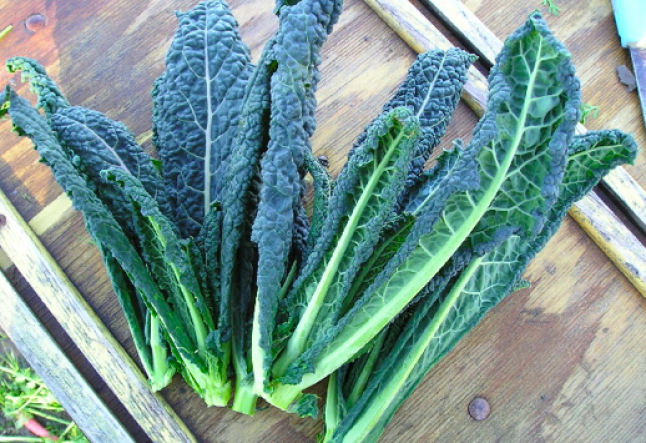 In all likelihood, you already know kale, love kale, and use beautiful kale in a variety of dishes. Kale is a great source of vitamins and minerals for adults, and it also provides essential nutrients that growing kids need. 1. Vitamin A promotes normal growth, healthy skin, and tissue repair, and aids in night and color vision. 2. B vitamins promote red blood cell formation and assist in a variety of metabolic activities. 3. Vitamin C strengthens connective tissue, muscles, and skin, accelerates wound healing and bone repair, and increases resistance to infection. 4. Vitamin D promotes tooth and bone formation and regulates the absorp­tion of minerals like calcium. 5. Iron is essential for the produc­tion of blood and the building of muscles, and is especially important during periods of rapid growth. Healthy iron levels also ward off depression, listlessness and infection in children. 6. Calcium is necessary for healthy bone development. An inadequate calcium intake during childhood can not only affect present growth but might also help contribute to the development of weakened and porous bones (osteoporosis) later in life. Kale Pesto - Pesto is a subtle and delicious way to incorporate herbs and vegetables into a dish the whole family will gobble up. Pesto is also healthy, containing raw olive oil, omega- 3 rich walnuts, veggies and herbs. With kale as a secret super ingredient, your kids won't even notice how green and nutritious this meal is. Kale Chips - Tried and true - kids love kale chips and will munch on them as happily as their fat-laden counterpart, the potato chip. A fun and healthy snack. Enjoy your weekly intake of kale!